Very helpful friendly staff who are happy to discuss food and wine options. Steaks, as ever, were lovely and bream as well as cod beautiful. Easy, relaxed atmosphere. Always a favourite. Having recently had a family bereavement, our visit was our first chance in many weeks to switch off and forget things for a few hours. The staff did not know this and from the moment we arrived, we were very well looked after and their attention to detail, service and our whole experience was faultless. The lady who looked after us is an asset to the team and the food, presentation and flavours were an absolute triumph. It was much needed for us so thank you. go every year and never it fails...I tell everyone to go there from Northampton and everyone loves it..
Staff fantastic, lovely decor and ambience but food was very underwhelming, steak was very fatty and very tough to cut, beef dripping chips were no different to thick cut oven chips, 12.5% service charge is compulsory which is also a downside, would not be coming back. The food was really good... and the service was excellent... the only down is that it is overpriced in my view. Whilst we all enjoyed our food and the service, the surroundings are pretty basic and noisy with all the bare wood. 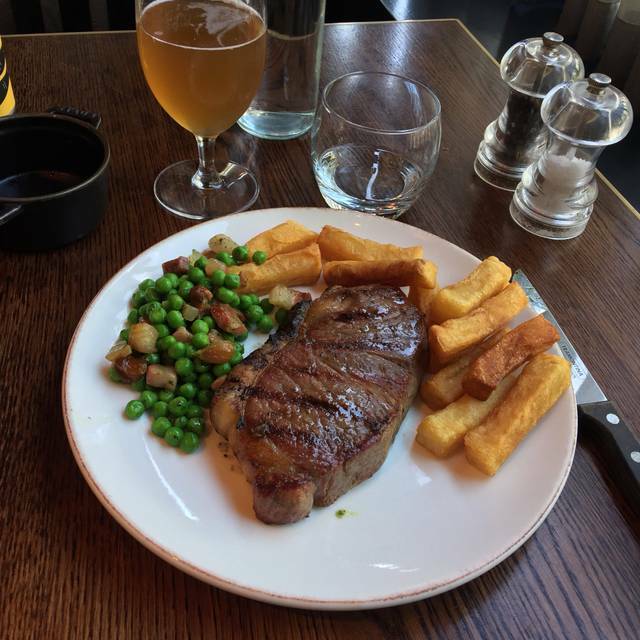 The steaks were of good quality but £34 for a medium sized steak with chips and salad is on the high side for the location. You would pay no more in a West End restaurant with much higher overheads. Like many of the small restaurants in Brighton, they are over-priced for what they deliver. A fantastic spot and well worth doing the tasting menu! 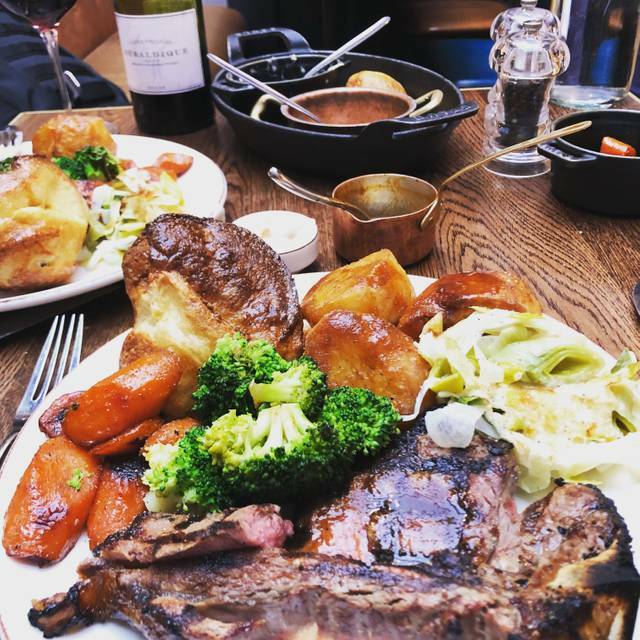 Whilst I would and do recommend the Coal Shed to friends, it’s not on the same level as say Hawksmoor or Goodmans in London. The largest individual cuts are only 300g and I do love a large 400g+ rib-eye! The rib eye I had wasn’t great. I sent it back as it was very sinewy. 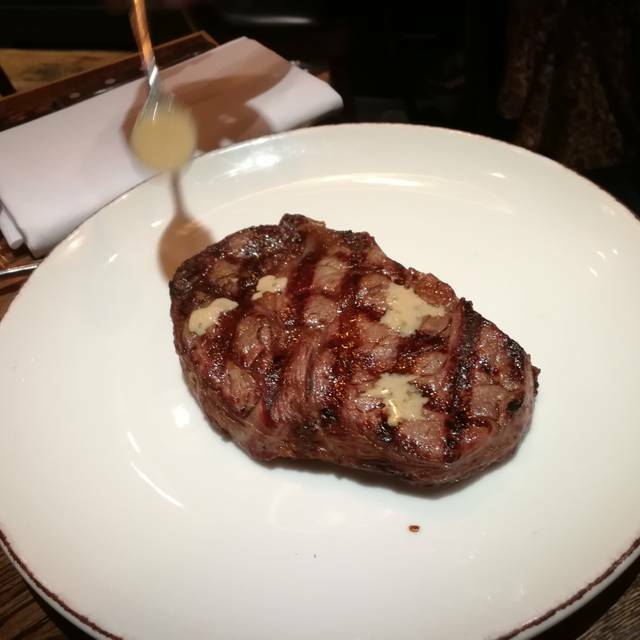 The second one was better but still not if the quality of the above mentioned steak houses. The wine list is great and you can get a corker for around £30 a bottle. The sides were very good - Mac cheese, spinach and chips (they don’t do skinny fries which is a shame) but the big fat chips they do are fairly decent. Although the sides are tiny in size so you do require a 2/3 as a minimum between two of you. I spent £214 for the two of us and I must say whilst we had an enjoyable evening it was very over priced. The lady we had serving us was fantastic though! Lovely meal in a lovely location. The staff were very friendly. Excellent Sunday lunch and very fresh oysters. Average food. I had wood fired spring chicken. Chicken was ok but a little burnt. came with just some salad leaves and sauce in a pot. very basic dinner and nothing special but £16. no extras or vegetables. Friend had a burger which was ok. One of the puddings wasn't available and prices are a little high for desserts. Also, a lot of tables crammed into the room, so it felt tight with people walking past and almost elbow to elbow. It's an ok venue and service was good. but nearly £70 for lunch including wine and we could easily have gone to an italian chain and had just as nice a lunch for half the money. Made to feel welcome, food was served quickly and tasted great. Its just very drafty on a cold night if you sit by the front door. Fantastic service by David. Made our special occasion (anniversary) even more special by the well judged balance of attentive service and privacy. Food and drinks was exceptional. Totally loved up to our expectations. . Very good food, nicely presented, portions were excellent, nice atmosphere, and friendly staff. All in all very nice and highly recommended. Inventive menu, phenomenal steaks. Very nice people also. Food was outstanding, wide range of options available to cater to all tastes. Lovely restaurant, great service and food! Definitely recommend this place. Amazing meal! 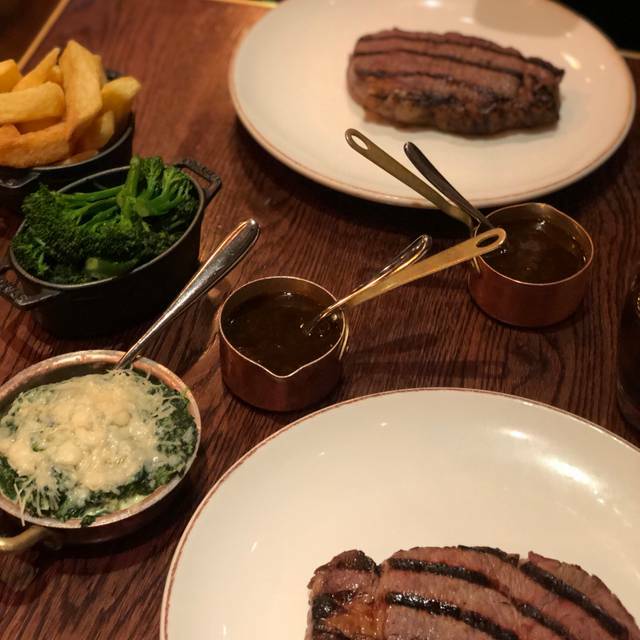 Fillet steak melted in your mouth and as for the creamed spinach! Immense! We will be back! Had a superb lunch at the Coal Shed. 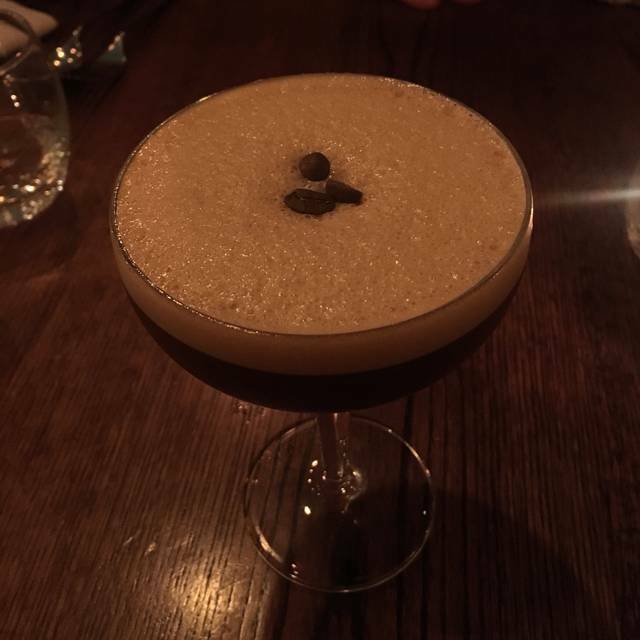 Everything from the service and friendly staff was excellent and the food was lush... would definitely return and recommend. Amazing. Couldn’t fault it. Worth every penny. The Coal Shed was ok. It touts itself as being much better than it is. My steak was nice and cooked well but to be delivered on its own on a plate with literally no garnish whatsoever is unappealing. 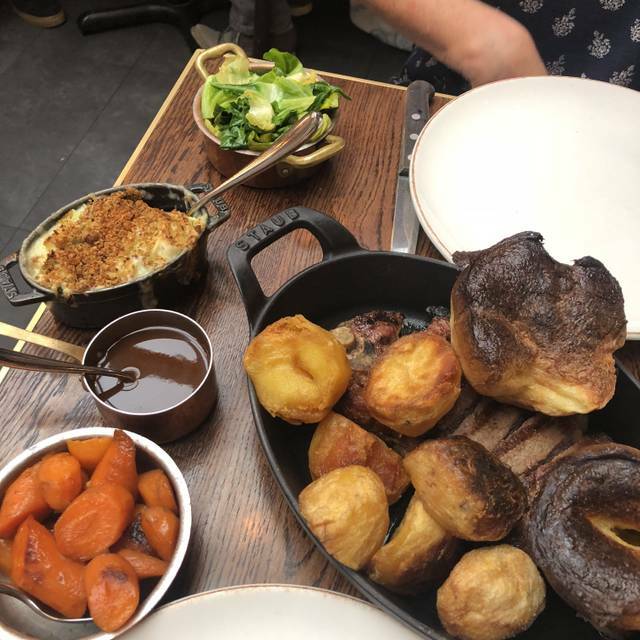 I don’t really feel too strongly about the sides being charged and served separately but it doesn’t look or feel very exciting when the steak comes out. Starters of asparagus and bone marrow were really good. Calvados pudding was ok but the rounds of dried apple are tough to eat and can’t be broken up with a spoon. 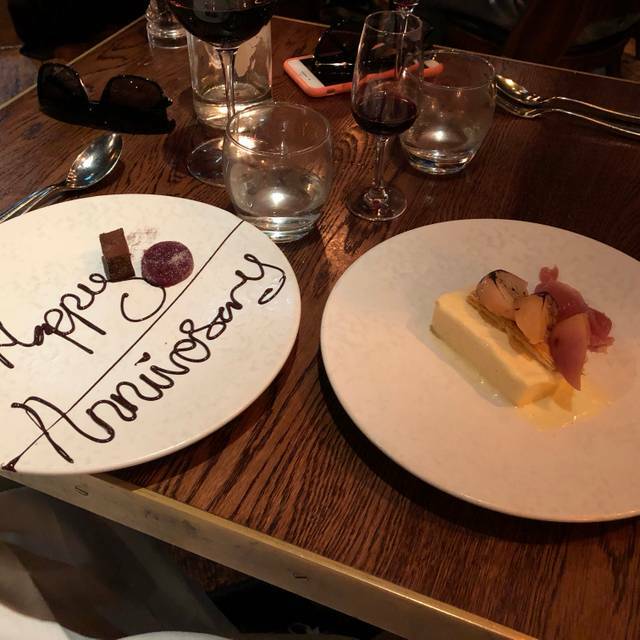 The services was ok, the server was polite and made a couple of remarks to us and when my husband responded he just walked away, it was clear he hadn’t listened. It seemed that other tables in the room received a much happier version of our waiter than we did. 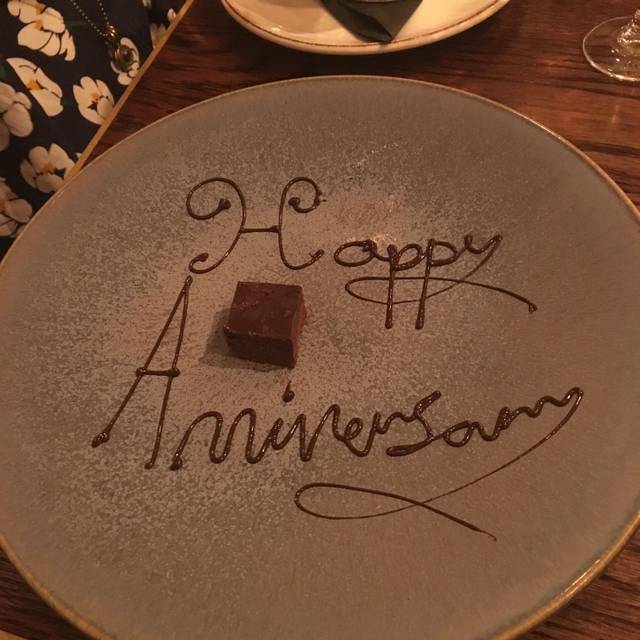 A different waiter brought our bill and an anniversary chocolate and he was much nicer so a shame we hadn’t had him. All in all I wouldn’t go back and wouldn’t reccommend to others. I don’t know Brighton well but I imagine there are plenty of better places to go for the money we spent. Amazing !!!!! Best fillet steak I have ever had and the creamed spinach was to die for. Lovely atmosphere and would definitely go again. +Smiling and very friendly. Staff were pleasant and polite. - I could taste burnt oil (Steak) from the grill which wasn't pleasant. - A bit cramped and dark upstairs, staff had to shuffle between tables. Excellent ambience and great menu led by superb service and attention to detail. Thank you. Lovely meal in very pleasant surroundings. Excellent food and service. Gets extremely busy so I would advise booking ahead. Great expectations, but unfortunately these were not meet . The food was only average for a fine dining experience and the wine choice was disappointing. So we and others thought it was very overpriced. Not the best , sorry to say and then to add very high service charge , unbelievable! Outstanding food. Excellent Greek red wine & had a wonderful evening. Lovely place, lovely staff, I think we just experienced an off-day. I like the ability to try the wine before you buy. The food took 40mins to arrive though. A fillet steak and a burger. When the steak arrived it was very rare (more like carpaccio), we ordered medium. We were loathed to send it back because it had taken ages to arrive and we didn’t want to complain to spoil the atmosphere for our anniversary dinner. Our first and very last visit.....on arrival we were led up stairs to our table and the room felt like an overspill area and didn’t have the same ambience has the main restaurant... that aside we were there to celebrate a birthday.... the starters were amazing however when it came to the mains, disappointment would be an understatement. The quality of the steaks were poor and 2 were undercooked to what had been requested. They both arrived rare /almost cooked blue... rather than medium to well done .. My husband was delighted .... he had mine !!! .....We didn’t make a fuss as we didn’t want to spoil our celebrations. However our waiter had noticed that one steak had not been eaten and apologised. The final straw to add insult came when we received the bill and they had generously taken £6.60 off as a management gesture of goodwill !! but had included a service charge of £23!! To the management team £6.60 Really?? Is this the value you place on your customers? By the way we did tip your waiter £18 as a ‘customer gesture of good will’. My advice to anyone visiting.... ask where you will be seated and more importantly make a ‘fuss’ about your food if its not satisfactory.... and don’t worry if your ‘fussing’ bothers other diners around you..
A nice welcome when we arrived even though we were ten minutes early! We were allowed to choose our seat. We had the express menu as we were going to a show afterwards. 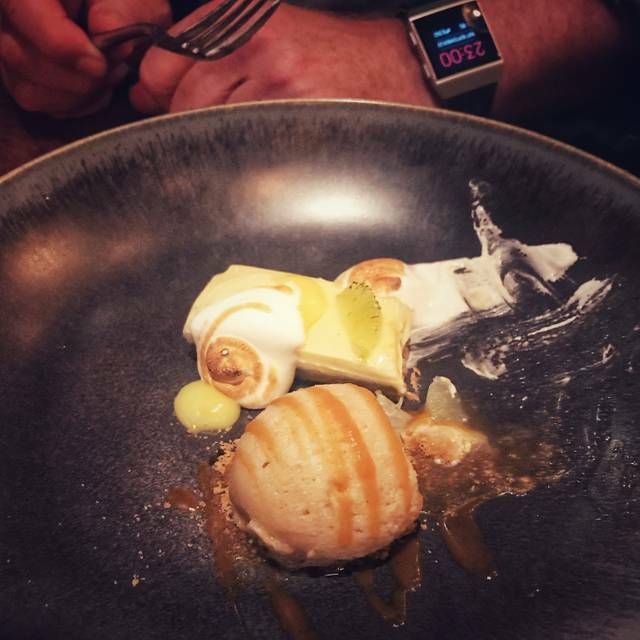 The food was tasty and the service prompt but we never felt rushed. All the staff were friendly and efficient. Would definitely go there again if I’m Brighton. Great staff who explained the menu with passion. Delightful meats and side dishes - I look forward to coming back ! Staff friendly & efficient & food was ok, could have been hotter.